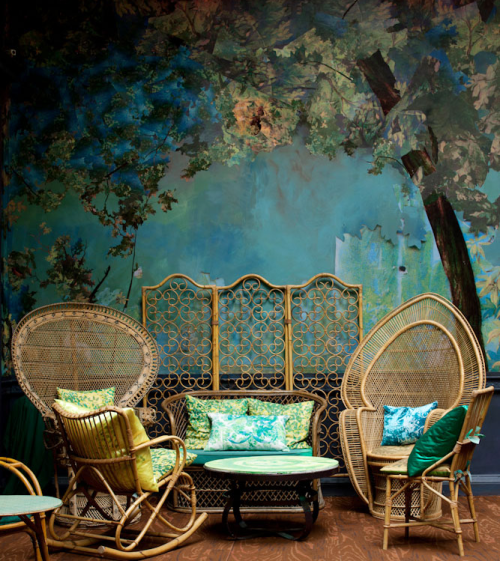 I am sneezing and sniffing all over the place today – bad cold – but have still found time to be re-inspired by the artistic style and design talent of Carolyn Quartermaine. I first saw her fabrics over twenty years ago in the basement of an interiors shop on Sloane Street and have admired her work ever since. 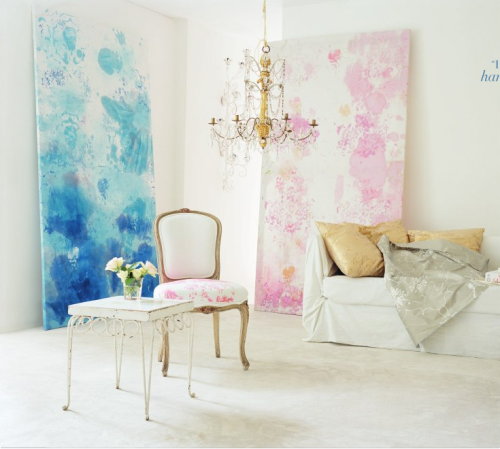 Now based in France, she is regularly featured in the top design and interiors magazines, displaying the exquisite delicacy of words and flowers painted on silk and linens in the form of drapes, wall-hangings, soft furnishing, and upholstery. Most recently, she has been in the news for her collaborations on The Glade at Sketch and Fragonard, the perfumiers. I live in hope that, at some point, I will be able to incorporate some aspect of her design and style into the interior of my home. Do you love this style as much as I do?